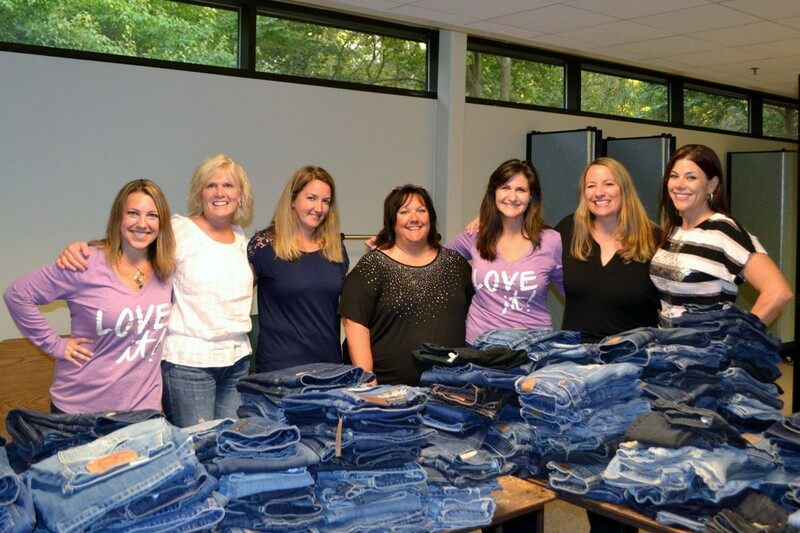 When St. Vincent de Paul Society of Volunteers hosts their annual Clean Jeans Drive, they sort, fold and stack roughly 1000 pairs of new or gently used “Clean Jeans”. Beginning in early August, people from the surrounding areas begin dropping off their donations in bins outside of St. Francis De Sales Catholic Church in Lake Zurich, Illinois. In addition to collecting jeans, St. Vincent de Paul volunteers ask for financial donations so they can purchase sizes they don’t receive but that have been requested. Over two weekends in early September Society volunteers, sort through the donations and begin getting things set up. 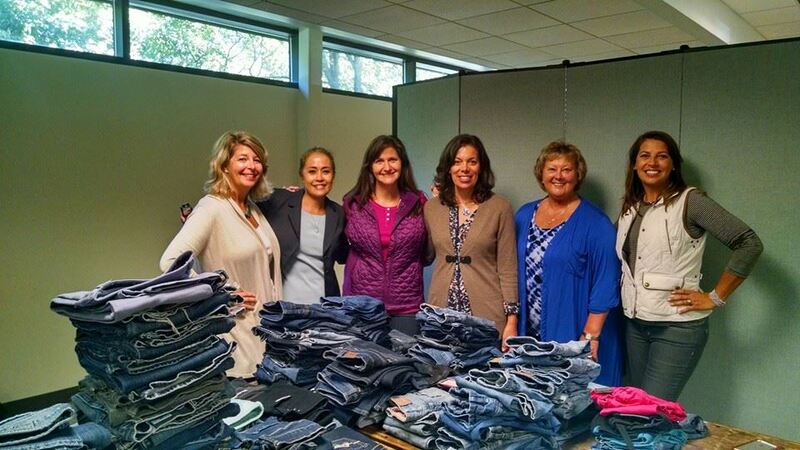 At this year’s event in September, at least, 1,000 pairs of donated jeans are distributed at the St. Francis de Sales’ ministry center. 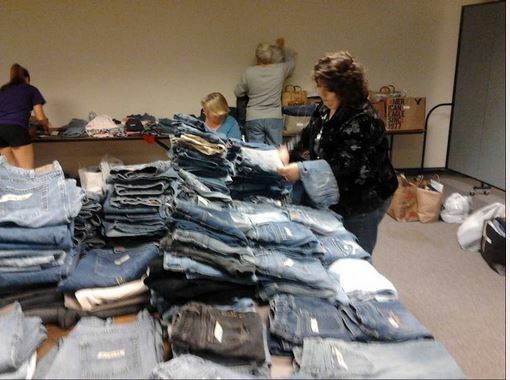 The jeans were handed out, at no cost, in conjunction with the St. Vincent de Paul Society’s weekly food pantry at the parish. Sizes from a 3-month-old child to a man’s 52-inch waist were available. In the weeks before the event, those who wanted jeans were asked to complete a form stating the total number needed, sizes and gender. Apart from the Clean Jeans Drive, members of the St. Vincent de Paul Society, volunteer at the weekly food pantry, annual backpack, and school supply drive, a coat drive in November, and Thanksgiving meals in late November.